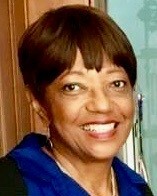 Patricia Ann Hardy-Jones, age 71, passed away peacefully on Friday, February 8, 2019, at her home in Fairfax, Virginia. She was born February 28, 1947 in McDowell County, West Virginia to Bob and Lula Mae Hardy. At a young age she moved to Alexandria, Virginia and was raised by her aunt, Ada Brazle. She met her future husband, Raymond, in 1976 and proceeded to raise two children, purchase their first home, and build a wonderful life together that spanned nearly 30 years, eventually marrying on February 19, 1993, in Fairfax, Virginia. She worked as a respiratory therapist technician at Fairfax County Hospital for 35 years, displaying an astonishing knack for maintaining lifesaving equipment, teaching new staff, and caring for her patients. Pat truly lived life to the fullest through simple pleasures; chatting with friends and family, cooking, and spending time with her nieces and nephews. She was immensely proud of her children Angela and Douglas and had a truly special relationship with her grandson Navarro. Pat had an uncanny ability to reach people in a deep and positive way. She was able to make friends from all walks of life because the kind of person you were on the inside was always the most important characteristic to her. Pat’s courageous battle against cancer inspired everyone who knew her; and her humble approach to life, her dedication to friends and family, and her warm and generous heart made people adore her. Pat’s life, although difficult at times, was one of Joy and Love. She will missed beyond even the most heartfelt words could convey. She is predeceased in death by her husband, Raymond; her sister Tootsie; and her brother Bob. She is survived by her daughter, Angela; her son, Douglas; her grandson, Navarro; by her sisters, Jacquelyn and Brenda Faye; by her brothers, Jerome and Tyrone; and many nieces, nephews, and cousins. I turned my back and left it all. I could not stay another day. I wish you the sunshine of tomorrow. My life's been full, I savored much. God wanted me now, He set me free!